Can the safety of a few jeopardize the security of us all? COLUMBIA, Mo 7/14/14 (Feature) -- "Lives were at stake," says Columbia resident Chris Kettinger. At an undisclosed location, he talks quickly at the other end of the phone. He seems frustrated he can't say more about the case of Greg Rodgers and Rodgers' subsequent lawsuit against Columbia and Boone County law enforcement officials. 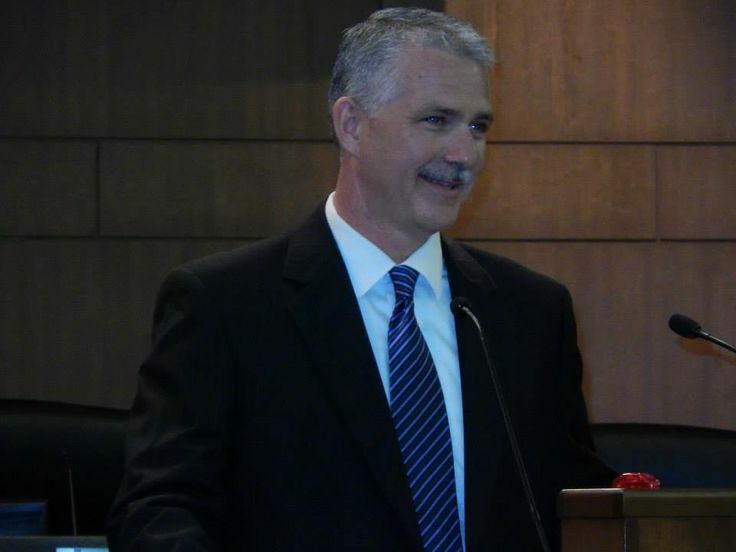 Kettinger believes local authorities mishandled a 2011 investigation of Rodgers, yet he also believes Rodgers posed an imminent danger to the community and had to be stopped. Now in hiding, Kettinger, a former friend of Rodgers, keeps a foot on both sides of a moral and legal fight. His most prudent option, he explains, is to remain silent and keep his head down. On a mild August evening in 2011, Greg Rodgers left his apartment on Windsor Street in Columbia's Benton-Stephens neighborhood to do laundry. Shirtless, with a 9 mm pistol wedged into orange swim trunks, Rodgers walked across the apartment complex with no evidence, such as an endorsed driver's license, of his concealed-carry permit. His destination, a laundry room, lay less than 100 yards away. When Rodgers returned, police officers surprised him outside his apartment. He put up no resistance when the officers arrested him, casting aside his pistol and laying on the ground. Columbia police detective Bryan Liebhart (now retired) and then-Sergeant Geoff Jones came armed with another kind of weapon that evening: a search warrant signed by Boone County Circuit Court Judge Kevin Crane on August 12, 2011. As required under the U.S. Constitution and a mountain of case and statutory law, the warrant was specific: it authorized police to search "1607 Windsor Street, Apartment 8." Police had been watching the apartment for some time, the warrant explained. They knew what they were after -- illegal firearms -- and whom they intended to apprehend, a man they'd been having trouble with for months. Crane signed the warrant in part based on an anonymous CrimeStoppers tip, later revealed to be from Kettinger, who alleged the suspect possessed "armor piercing incendiary .223 rounds" and had made threats to "blow up the Columbia Police Department." Despite a thorough search, police found no incendiary rounds, illegal weapons or explosives in Rodgers' apartment. A detailed inventory shows they found an AR-15 semi-automatic rifle in the living room; a case and two boxes of ammunition in a bedroom closet; and two loaded 9 mm magazines, all legally owned and properly permitted. The search warrant gave police the power to confiscate the items they found in Rodgers' apartment. But in a broad overstep of their judicially-sanctioned authority, they extended their search -- and subsequent seizure -- well beyond 1607 Windsor Street, Apartment 8. They found and confiscated four shotguns, four handguns, and a .22 hunting rifle -- also legally owned -- that were nowhere in Greg Rodgers' apartment and belonged to someone else. It was a surprising violation of the 4th Amendment -- in particular, the so-called "particularity requirement" -- that has left legal and law enforcement experts scratching their heads.